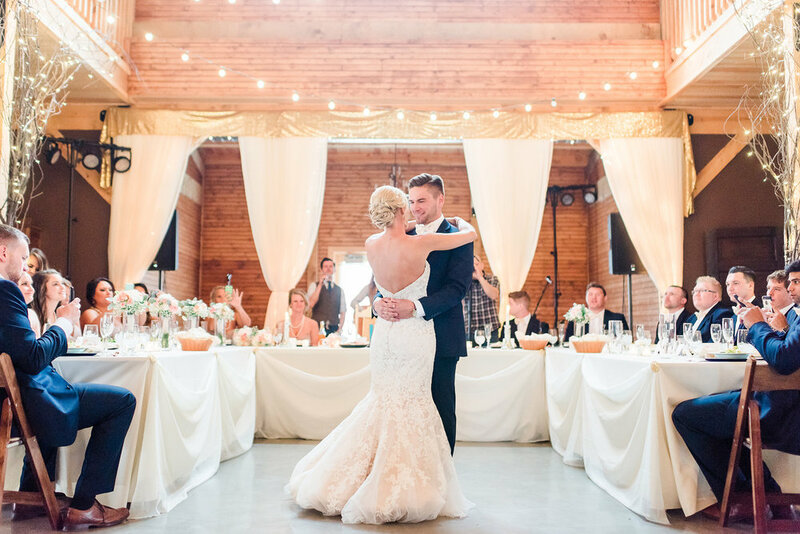 Kelsey & Kirk may not have had their driver’s licenses when they first caught each other’s eye at the Iowa State Fair, but their instant connection, along with rides from their parents, turned their summer meeting into a lasting romance. Months would turn into years, seasons would change, and the couple would find themselves once again creating the memory of a lifetime, this time in the cold of winter. 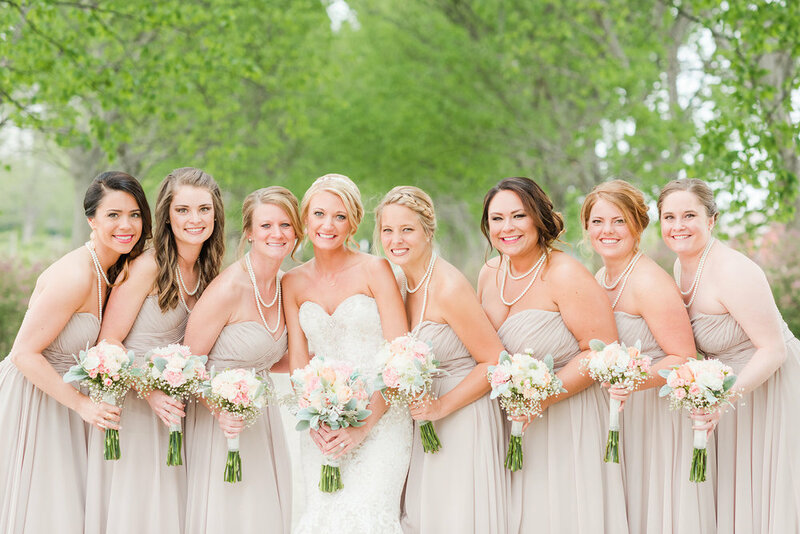 Their favorite moments from their big day were waiting to see each other until they walked down the aisle, having the ceremony performed by the groom’s father, a pastor of 30 years, and celebrating with family and friends. 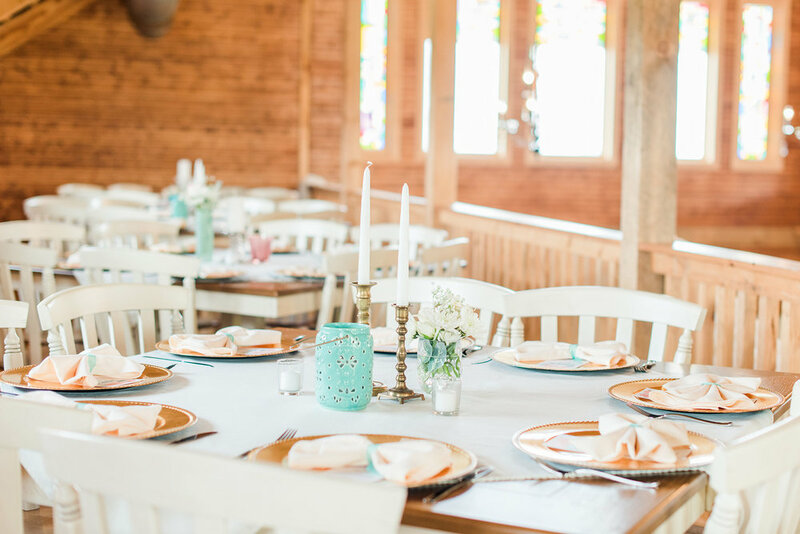 A live country band kept the party going, and Kirk’s sister, Kelsey, coordinated all of the décor and decorated the venue from top to bottom with colors of teal, mint, peach, coral, beige and navy. 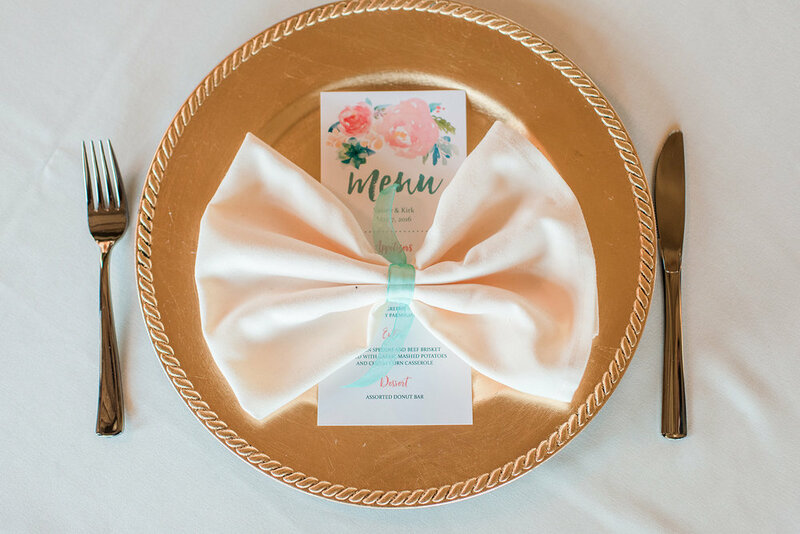 Mercury glass vases, romantic taper candles, gold chargers, champagne sequin runners, and flowers, designed by a family friend, could be seen all throughout the reception. 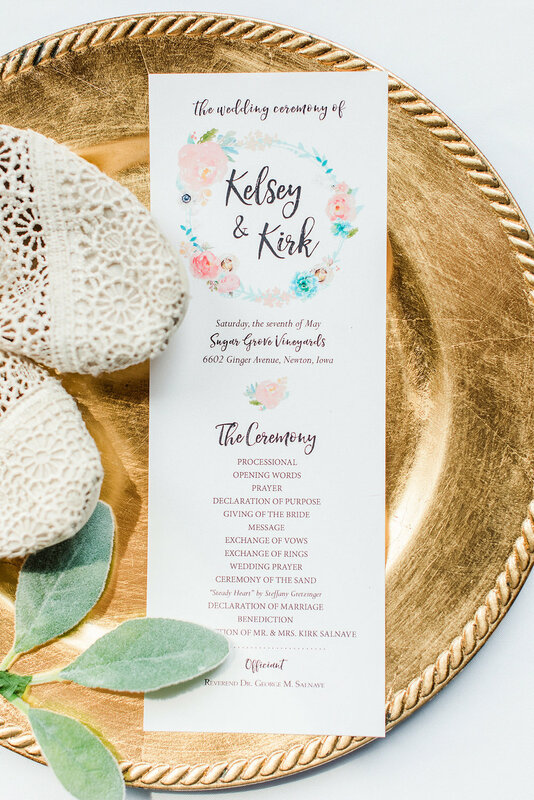 Advice from the bride and groom would be to, “Enjoy being engaged. It is a truly happy time and there is no need to be stressed. I guarantee there will be a hiccup along the way with planning, but remember, no matter what, everything is going to work out. Just keep in your mind that at the end of your wedding day, you are marrying your very best friend and that is what is most important. Your day will be perfect!